Shoplifting Books–Stop! Thief! Oh, Never Mind “ by Robert Gray. From Shelf Awareness 14 March, 2014. I love that story. It brought to mind any number of incidents from my bookselling days, including the time a new manager at the store where I worked thought he had the goods on an elderly customer who seemed to frequently walk out with unpaid books. 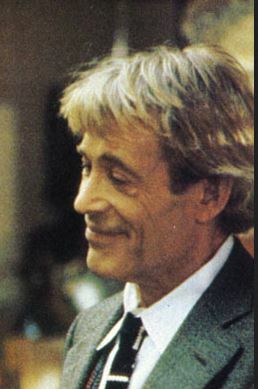 The case was quickly solved, however, once clues were assembled and he was informed, Inspector Lestrade-like, that the suspect was actually the co-owner’s mother. “A film about shoplifting that included an episode about a woman slipping a vacuum cleaner under her skirt and walking out of a store evoked horrified laughter yesterday at the American Booksellers Association convention. The audience was told afterward that unexplained shortages in bookstores probably run from 2.4% to 4% of total business handled…. I often feel irrationally guilty when I’m browsing in a bookstore I haven’t visited before. I wouldn’t snitch on another customer I saw shoplifting and I feel a little guilty about that, too. 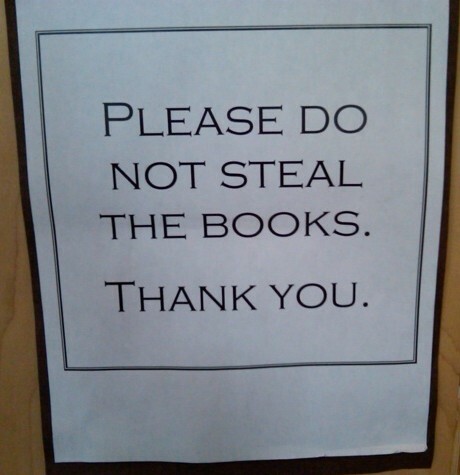 When I was a bookseller, I never once caught anyone stealing, even when I was sure they had; even when they set off the security alarm while leaving. I was a master of the slightly delayed leap into action, hoping one of my colleagues would beat me to the door and the confrontation. I knew I would be lousy at the chase-and-apprehend nature of catching shoplifters, so I didn’t try. The standard rule that you could never let suspected shoplifters out of your sight for an instant (lest they dump the goods and increase the dangers of litigation) reinforced my natural inclination to inaction. Jerry: Leo, I saw you steal. Leo: Oh, they don’t care. We all do it. Reminds me of the times I had to man a bookstall at various academic conferences. In the intervals between talks people would stream out in numbers and it was hard to be both vigilant and tactful as they were picking up books and waving them around talking to their colleagues about them (which was the point of displaying them after all), but then sometimes walking off with them. When I came to do the stock-take and reckon up the sales afterwards I became aware of the copies ‘liberated’ in this way and fancied over the years that I noticed some patterns as between different disciplines. On an honesty to thievery scale, I estimated that the archaeologists and classicists were the most virtuous; the linguists, philosophers and historians were somewhere in the middle; and the theologians the most untrustworthy. Well, they had higher authority, I suppose. I guess you never went to a sociology conference! And I believe you’re being a little too kind to the philosophers. Archaelogists and anthropologists were always pretty good: I wonder if studying other people’s material culture makes you have more respect for same.